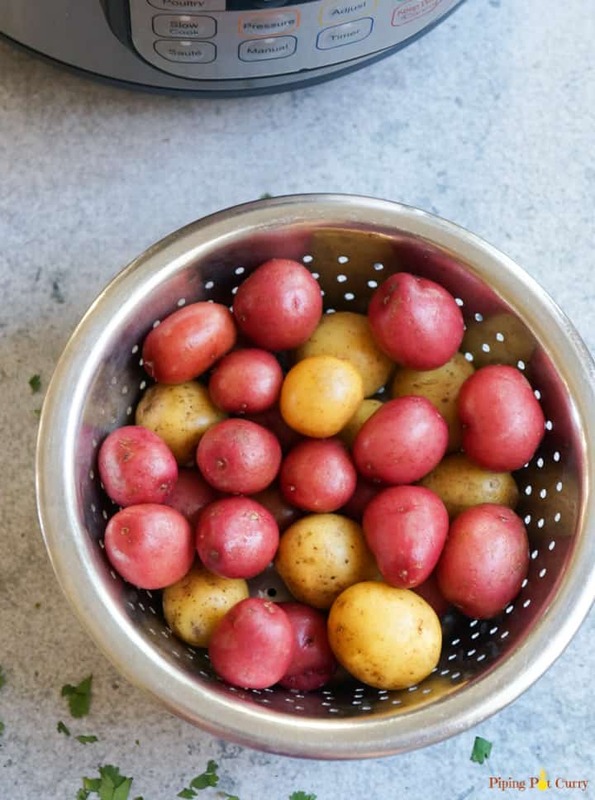 Super easy Instant Pot Steamed Baby Potatoes ready in less than 20 minutes. These baby potatoes are perfect to season and enjoy as a side with some rice or protein. 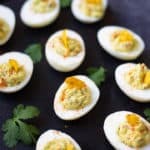 We have been enjoying the convenience of instant pot for so many dishes. I pretty much use the instant pot daily, sometimes to make chicken, sometimes for lentils, for rice or just to steam vegetables. It is perfect to do any of these tasks, without much of my active attention. 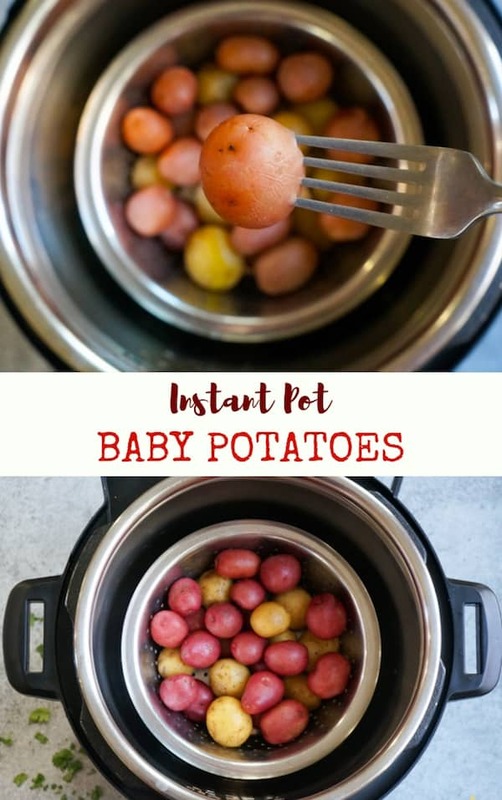 To continue with my Instant Pot Basics series, today I am sharing these Instant Pot Steamed Baby Potatoes. If you are looking to cook russet potatoes, check my post about how to boil potatoes in the instant pot. Why cook potatoes in the Instant Pot? Dump and go, while take care of other chores. Once you start using your instant pot, I am sure you will not cook potatoes any other way. They are so easy and hands-free. 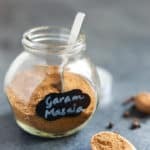 If you are new to the instant pot, check out my instant pot beginners guide. 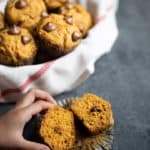 Check out other Instant Pot Basics recipes – Cooking Chickpeas, Cooking Beets, Pumpkin Puree and Steamed Carrots. They are so convenient. 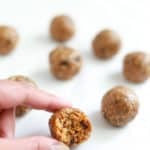 They are perfectly sized to use in any recipe, and to eat. No need to cut or peel them. Kids love them. Even kids that don’t like vegetables, usually eat their potatoes. They are cheap and easily available all year round. You can season them in so many different ways. Cooked potatoes with skin are a good source of many vitamins and minerals, such as potassium and vitamin C.
Perfect to serve at any occasion. 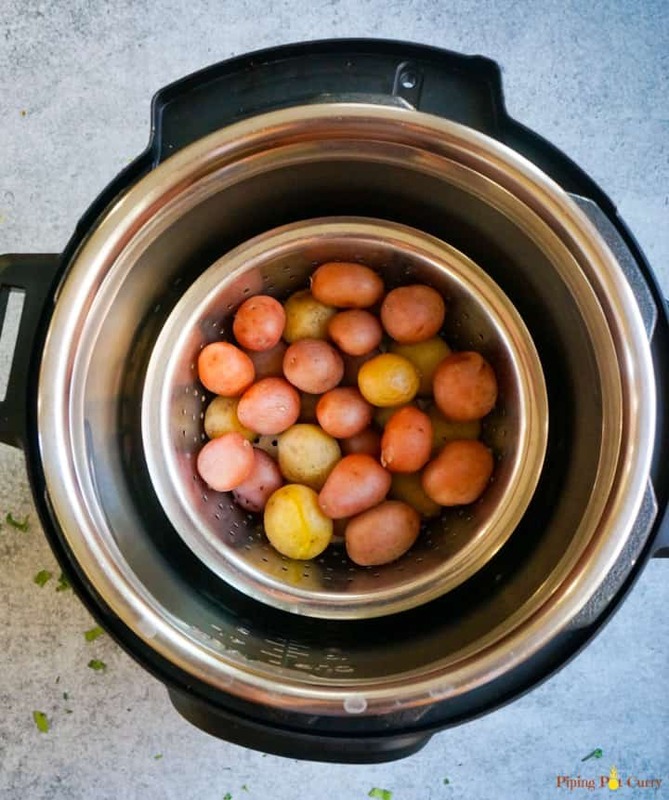 How to pressure cook Baby Potatoes in the Instant Pot? I prefer to use a steamer basket/rack when steaming potatoes. For large potatoes, a trivet or rack could work too. However for baby potatoes, it is easier to pick them out if they are in a basket. Add about a cup of water in the instant pot steel insert. Then place the steamer basket with potatoes in the insert. The baby potatoes I used were 1-1.5 inch in size. I pressure cooked them for 5 minutes on high pressure, followed by a natural pressure release. Let the steam release by itself after the instant pot beeps. Then carefully pick the steamer basket out. If the potatoes you have are larger in size (about 2-2.5 inches), then increase cooking time to 8 minutes. Which steamer basket to use in the Instant Pot? Here are couple of options for steamer baskets. Click on the picture below to buy on Amazon. How to pressure cook Russet Potatoes in the Instant Pot? For large potatoes, I usually pressure cook at high pressure for 10 minutes. Let the steam release naturally for 10 minutes, then manually release the pressure (10 minute NPR). The cooking time will increase or decrease depending on the size of the potatoes. The above time worked perfectly for potatoes about 7oz each. See here for more details – how to boil potatoes in the instant pot. Do I have to use a Steamer Basket? 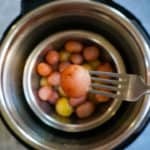 Can the baby potatoes be cooked directly in the Instant Pot steel insert? You can absolutely cook the baby potatoes in the instant pot steel insert directly. I just prefer this method as it means less cleaning effort. Do not use “Steam” mode if cooking directly in the pot, as it increases the temperature too quickly and is designed for cooking when the food is not in contact with the base of the pot. Use “pressure cook” mode (also called manual). 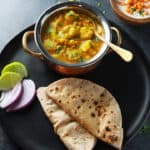 Want to make a baby potato side dish, try Garlic Chili Potatoes or this one-pot Spicy Bombay Potatoes recipe where I cook the baby potatoes right in the instant pot steel insert. Hope you enjoy these baby potatoes steamed in the instant pot! 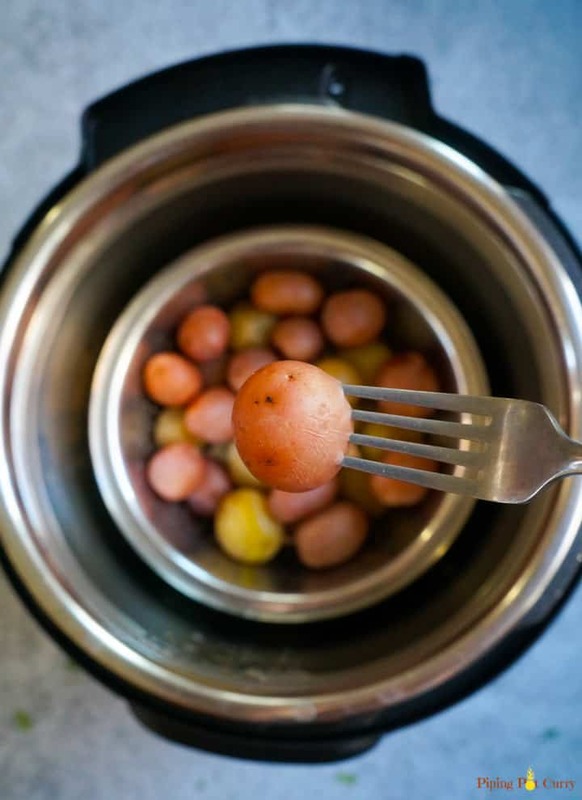 Quick and easy steamed baby potatoes in the pressure cooker ready in less than 15 minutes. These Instant Pot baby potatoes are perfect to season and enjoy as a side with some rice or protein. Clean potatoes with water and place them in the steamer basket. Add 1 cup water in the instant pot steel insert. Place the steamer basket in it. Close lid with vent in sealing position. Set to Pressure cook or manual mode at high pressure for 5 mins. Carefully remove the steamer basket from the instant pot. Let the potatoes cool a bit before using. Larger potatoes: For potatoes about 2-2.5 inches in size, increase pressure cooking time to 8 minutes. Quantity of potatoes: The cooking time remains the same even if you increase or decrease the quantity of potatoes, however the size of the potatoes affects the cooking time as mentioned in previous note.